Statement. Senator Mooney’s comments on taxi drivers require action. The Irish Network Against Racism voices its concerns at the discriminatory comments by Senator Paschal Mooney that he chooses not to use non national taxi drivers. His comments come at a time when racism is a serious issue for taxi drivers, threatening their safety and ability to earn a living. The Network has been long calling for more effective legislation on racism, including a review of the current incitement to hatred legislation. The fact that some politicians continue to make discriminatory comments about ethnic minorities is further evidence of the lack of awareness or adequacy of the legislation. As the Irish Coordination for the European Network Against Racism (ENAR), we are all too aware of an increase in racism within political discourse across Europe. While in some notable countries, this has manifested through a clear rise in extremism, in other countries we hear such comments coming from the mainstream. If politicians’ racist comments go unchecked, we may face a similar situation here in Ireland. 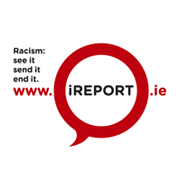 The Irish Network Against Racism is a national network of civil society organisations working collectively to address racism in Ireland and beyond. We are the national coordination for European Network Against Racism.